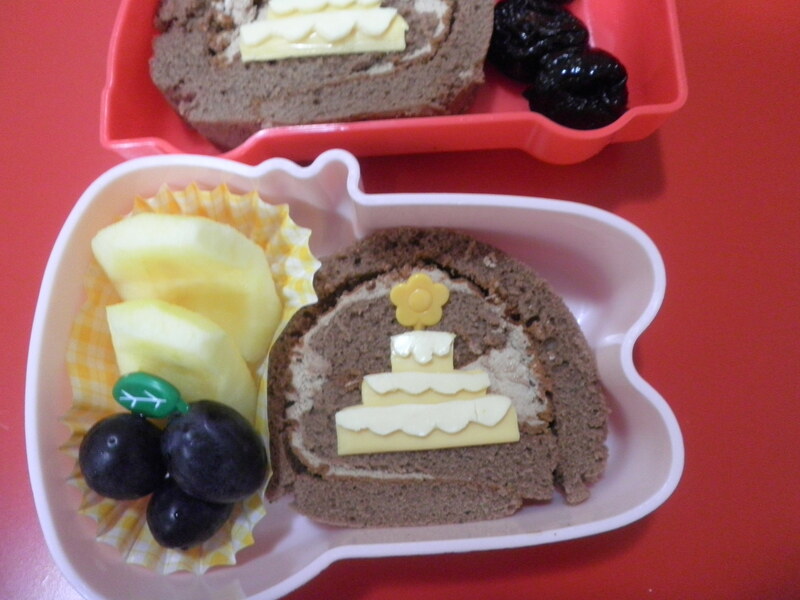 We decorated with a little chocolate bunny as my mummy was born in the year of the Rabbit according to the lunar calendar. 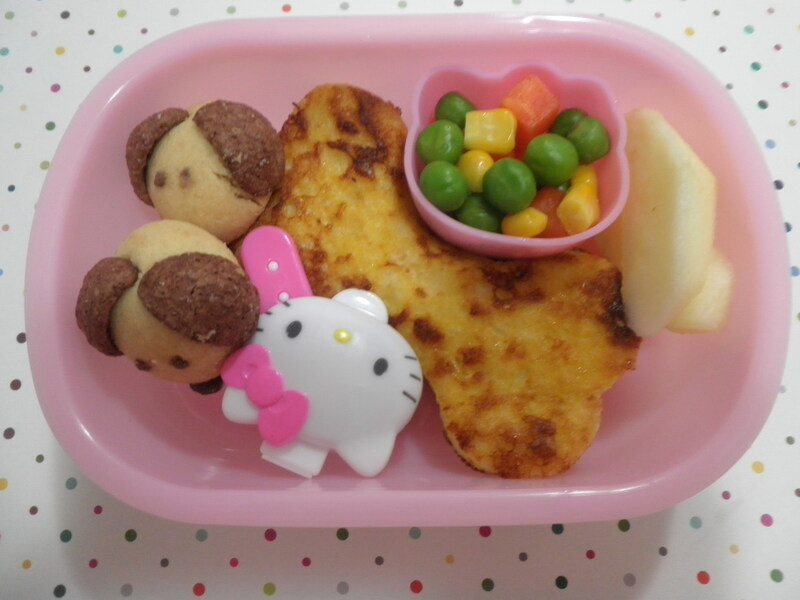 Also to add some colour, we threw some M&Ms on top! 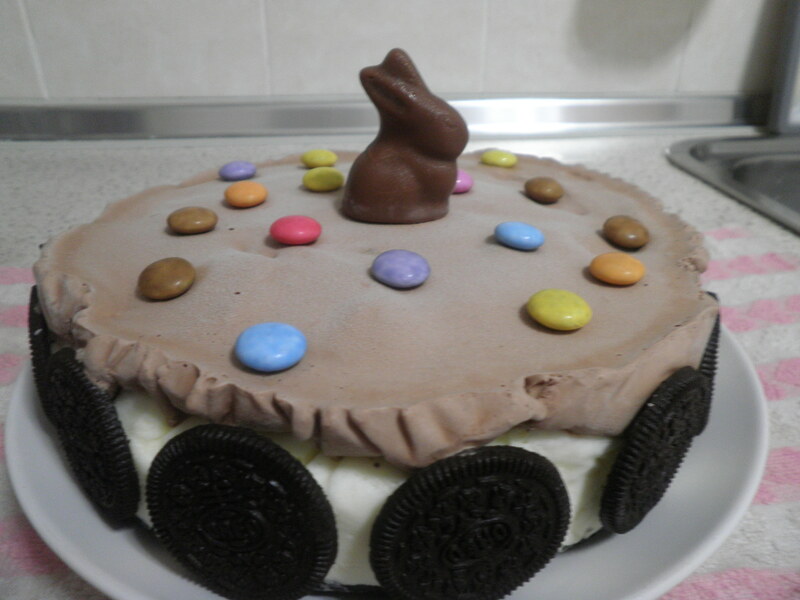 The sides had half pieces of Oreos as the side of the cake are not perfect as can be seen from the picture. 😉 All was consumed after the birthday dinner.. lip smacking! 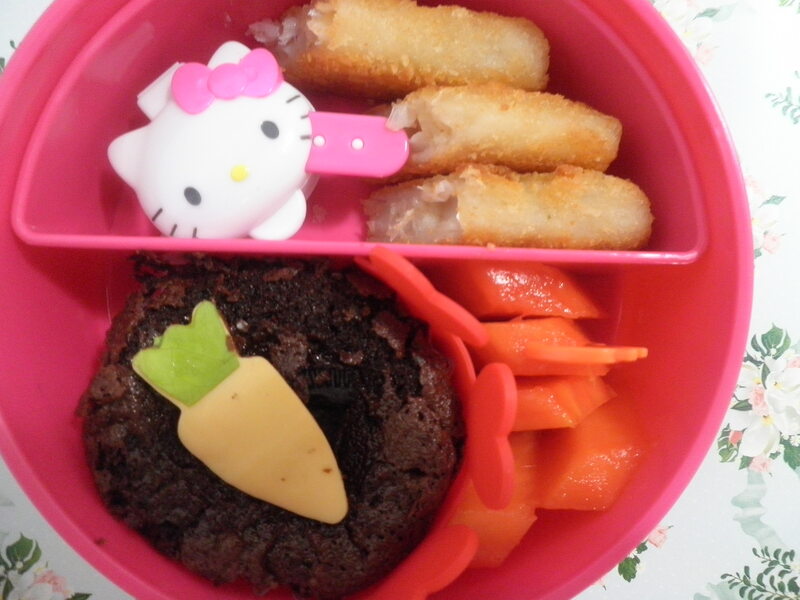 So for the very next day kindy bentos for the kids I made them …”cake” theme! A three tier cake on top of that. 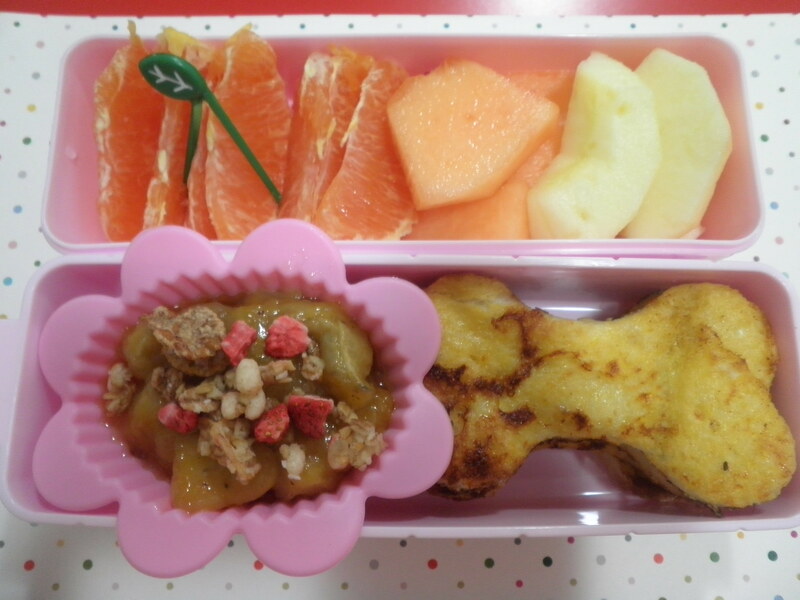 It’s a very simple bento with a piece of really soft chocolate swiss roll from Sun Moulin, Isetan, the cheese “flavored” three tier cake and some fruits. 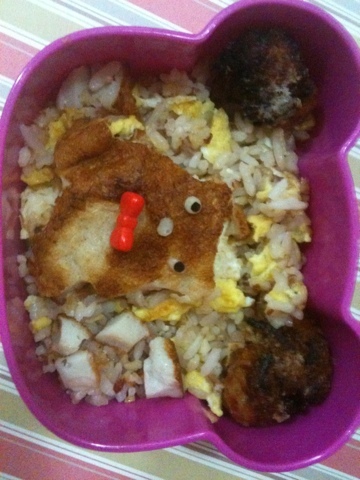 Bento finished till the last crumb! 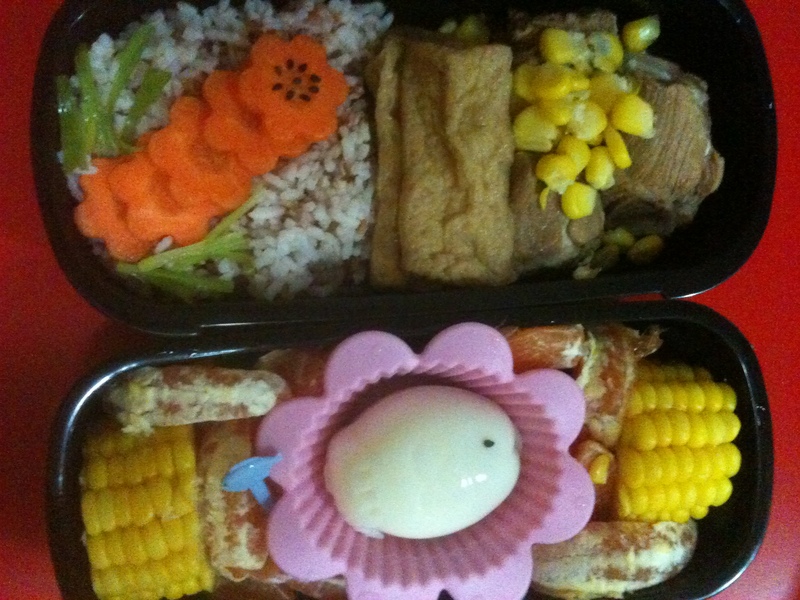 Today’s bento for the two little ones consist of fried rice with my mum’s home made fish cake and egg. 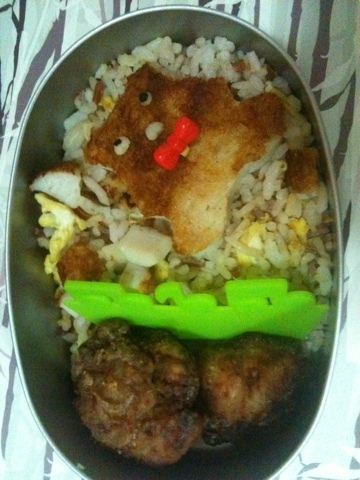 She whipped up the best bouncy fish balls n fish cake from mackerel. 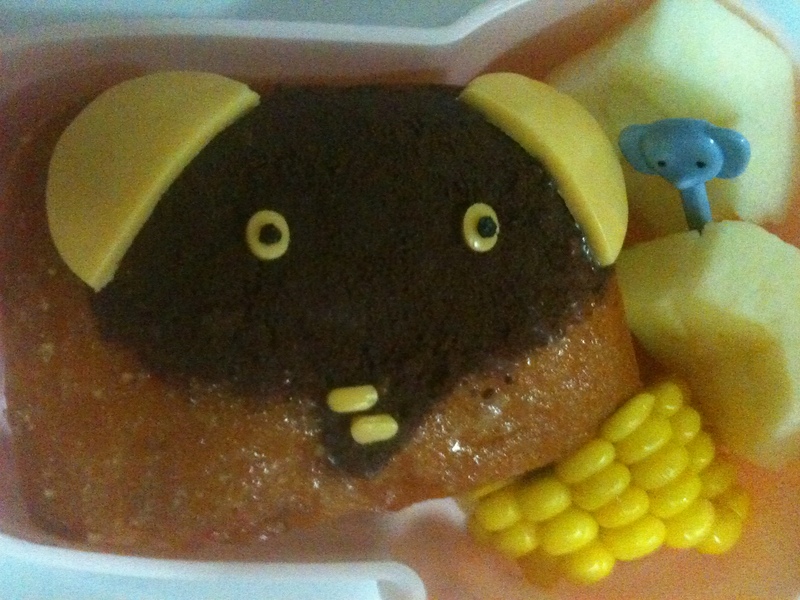 😉 Made 2 little bears from the same fish cake that was pan fried n steamed awhile. 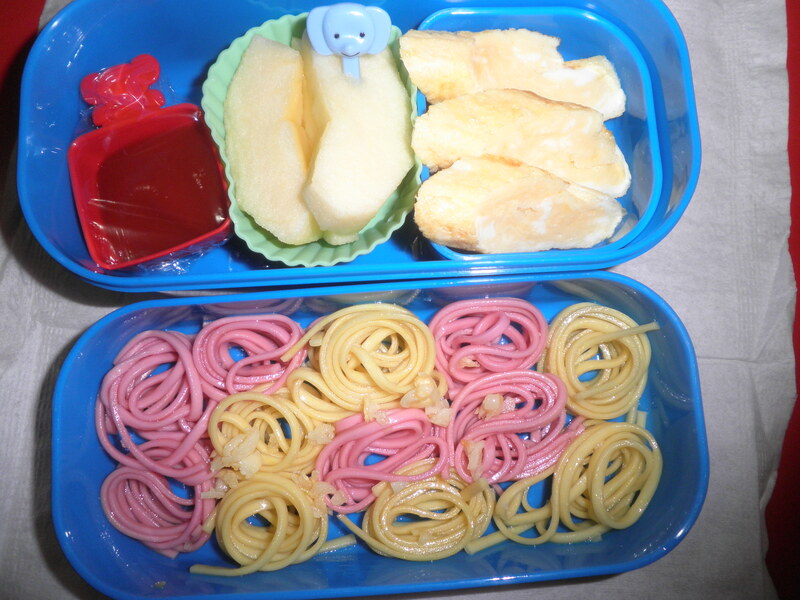 Once again, its been a long while since I’ve posted my bentos. Its really not easy with the lack of connectivity at the new workplace. Previously, I could take a short break to put up my post but now it’s impossible. After work roles i.e wife and mother do not allow any spare time for blogging and I also needed my beauty sleep. 😀 Btw, for those who are still reading my posts, how have life been treating you all? 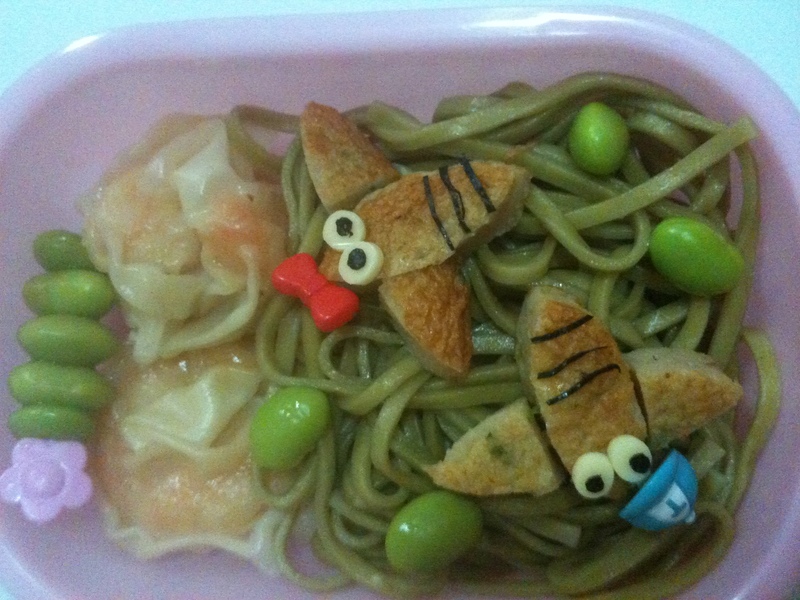 Hope that all is great for everybody despite all these natural disaster that is happening around us. 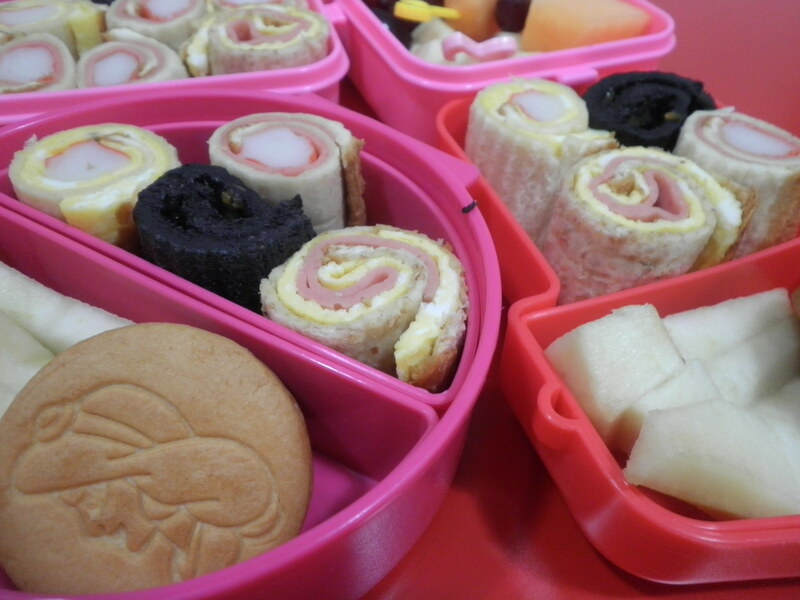 Once again, here are all the bentos I made while I tried to adapt to the “no connectivity” work place. 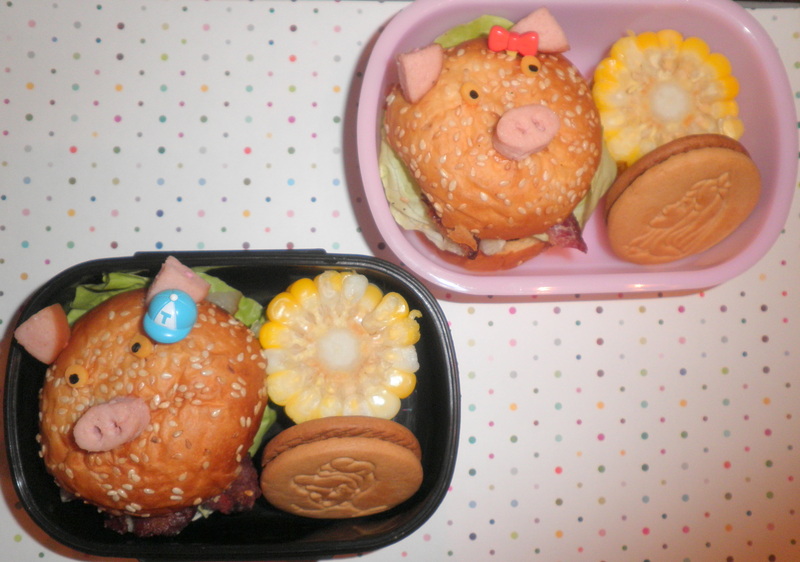 Now the terribly’s captured bentos from my phone camera due to lack of tick tock tick tock….